David Dantino, 26, of Portsmouth, New Hampshire. A Portsmouth man is accused of abusing a dog while walking it down the street after police say a witness recorded a “disturbing” video. 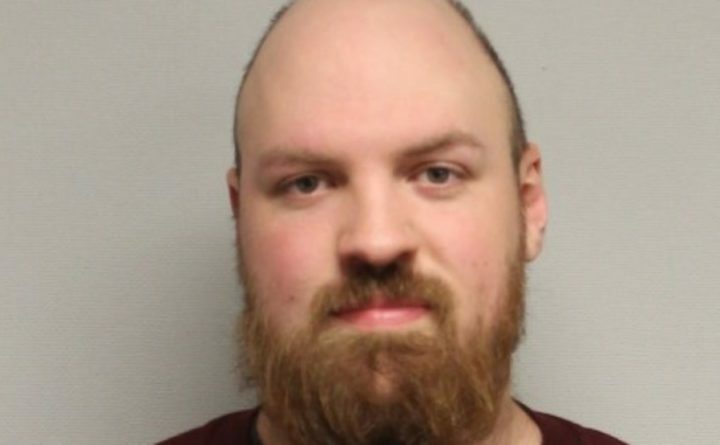 Portsmouth police say they began the investigation on New Year’s Eve after a witness showed them a video allegedly showing 26-year-old David Dantino abusing Knox, a 3-year-old Australian cattle dog, while walking it along Anne Avenue, according to WBZ-TV. The dog belongs to an associate of Dantino’s and is not his, according to police. Police say the video shows Dantino kicking Knox in the ribs, lifting the dog off the ground by a neck leash and “violently” jerking Knox’s leash, causing the dog’s neck to snap sideways. On Sunday, Portsmouth police announced that Dantino was charged with three counts of cruelty to animals. He was released on personal recognizance bail. Dantino is scheduled to be arraigned in Portsmouth District Court on March 4. There are no criminal charges pending against the dog’s owner. Knox remains in her possession, according to police.